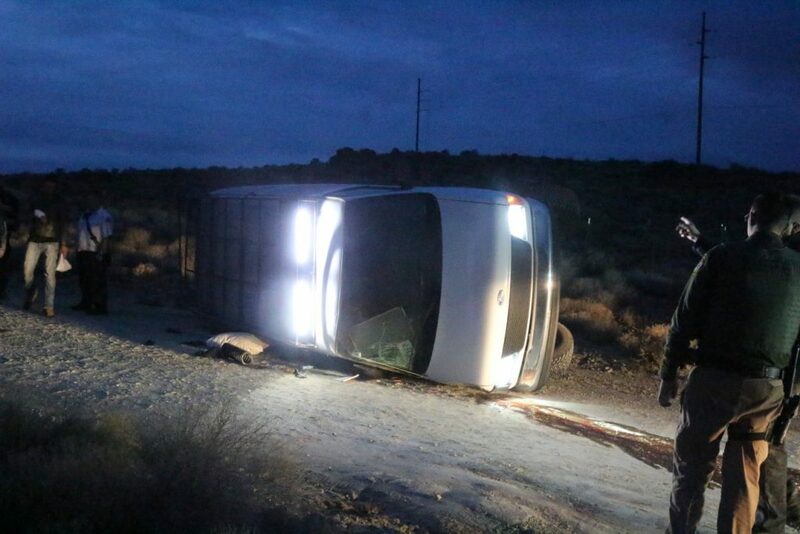 ST. GEORGE — Taking a turn too fast in a van resulted in a rollover in the Red Cliffs Desert Reverse Monday evening. 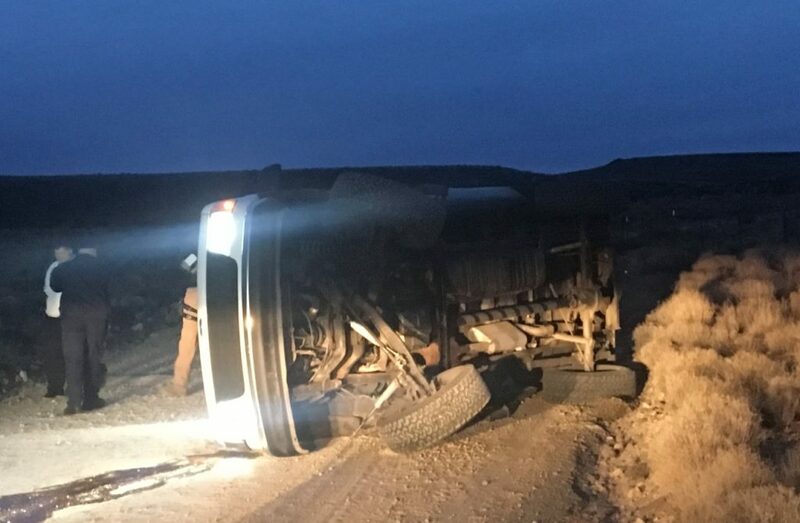 The incident occurred around 5 p.m. when the driver of the lifted-van took a corner on the Cottonwood Springs Road too fast and caused the van to roll, Washington County Sheriff’s Deputy Graham Hancock said. The Cottonwood Springs Road is also known as the Old Dump Road, Turkey Farm Road and Turtle Road. The crash occurred a half mile or so north of the Yellow Knolls Trailhead. 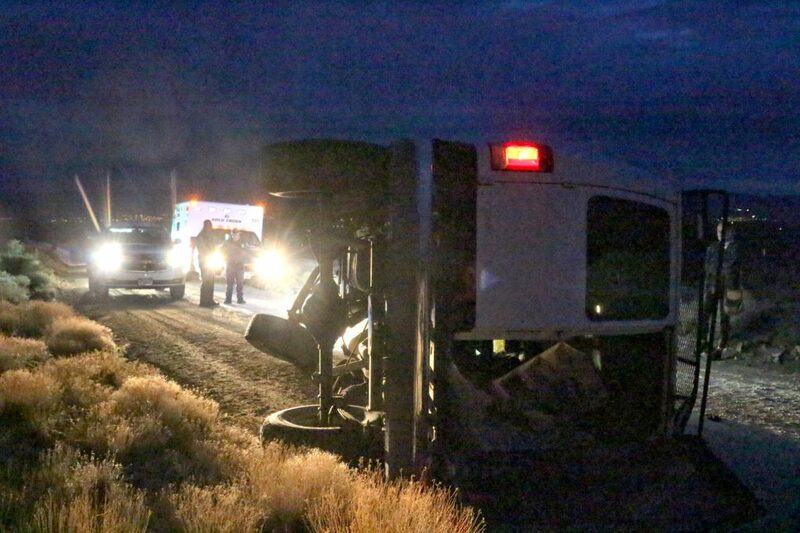 After it rolled, the van landed on the passenger side and slid about 50 feet before coming to a stop. Five people, the majority appearing to be young adults, were inside the van along with two dogs. Medics treated one individual for a potential injury, but he and the others declined to being taken to the hospital. 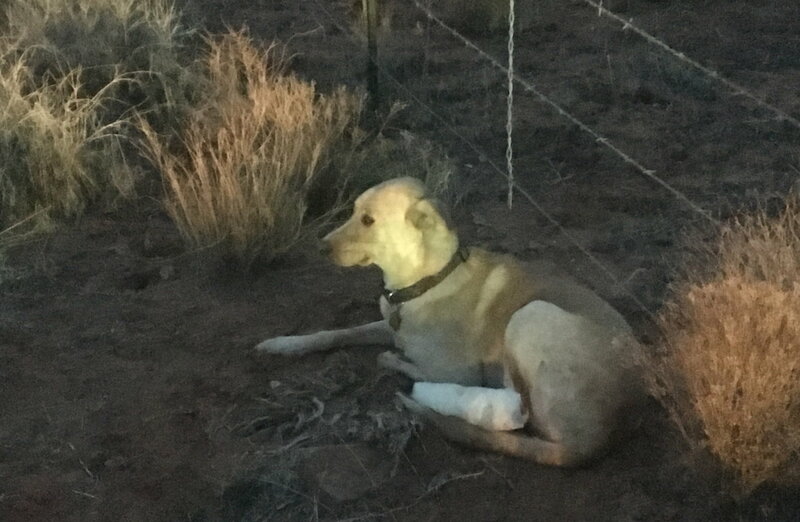 One of the dogs was also injured in the crash and medics bandaged one of its legs. 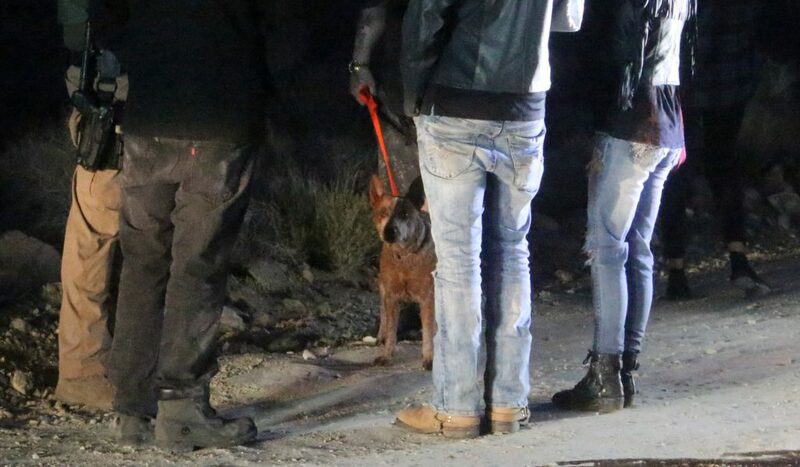 The other dog was kept in place by a leash held by one of the van’s passengers. It let out the occasional whine as those involved in the crash spoke with emergency responders. The injured dog was taken to a veterinarian, Hancock said. A citation was issued, Hancock said, but it was for drugs and accompanying paraphernalia found at the scene, not the crash. While Cottonwood Springs is paved to a point within the Red Cliffs Desert Reserve, it gives way to a road of packed earth, rock and patches of loose gravel. “We gonna party!!! ” whoops, oh my , hold on!!!! *CRUNCH* Are you OK? ” Dude, I can’t believe you rolled your van? ” “Hey, my dog is injured – real bad”. “hide the stash” ……LUCKY YOU WALKED AWAY, AND LUCKY NO TICKET. The officers must have been pretty cool. Somebody no doubt learned a lesson or 2. Less aversion to risk along with a false sense of invincibility leads to momentary insanity as well as ignoring the laws of physics. At least that’s how I remembered how I thought in the good ole days. Fortunately I caught on somewhat after a few close calls and getting chewed out by higher intelligent beings. I think when you lift a vehicle it raises the c of g quite a bit? Making top speeds on gravel drop about 20% give or take 5? OOOPS, MATH! PHYSICS! My father was a theoretical mathematical physicist, but you know , I never took a physics class, even in highschool. I did listen to his advice on probability. The odds may be 1:1000,000, but the possibility of an occurrence is equal, relative to the 998,854th event vs. the 3rd time. Add in the product of MJ + V = D, it might happen more frequently?